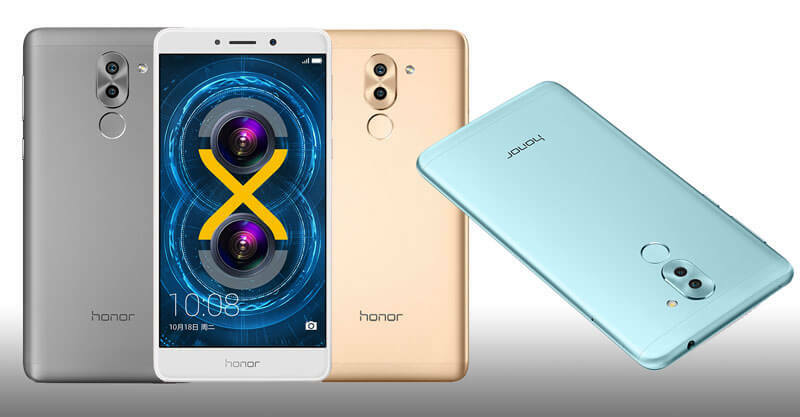 AT CES 2017, Huawei has announced the new mid-range Honor 6X phone. Starting at $249, the phone will have 3GB of RAM and 32GB of storage but, like many other phones in this price range, has compromises to keep the price down. The 5.5″ device renders at 1080p (1920 x 1080) which is the bare minimum in phones these days. It is powered by the Huawei Kirin 655 Octa-Core processor running at 2.1GHz. While it comes with 32GB of storage here in the United States (there is a 64GB version for other countries), you an expanded it up to an additional 128GB thanks to the MicroSD slot. Camera wise, the Honor 6X isn’t bad. It has a dual-camera rear shooter comprised of a 12MP main camera and a 2MP secondary. It is capable of shooting 1080p video. The front camera is an 8MP shooter. The phone is sold unlocked and works with LTE Bands 2/4/5/12/20 and GSM 850/900/1800/1900. You’ll also find a fingerprint scanner on the Honor 6X but, disappointingly, it is equipped with a Micro-USB charging port for the 3340mAh battery. Another disappointment is that the 6x will ship with Android Marshmallow-based EMUI 4 from Huawei. It will not ship with Nougat but Huawei did say in the presentation that the phone will see Android Nougat in Q2 of this year (April-June). If you are interested in the Honor 6X, you can order yours starting today. The phone will be $249 and there are additional giveaways for the first 300 buyers like a case, headset and a selfie stick. Head over to the 6X website for more details.